We have gained expertise in manufacturing, supplying, importing and exporting a quality range of Spinning Machinery & Spares. These products are manufactured using optimum-grade material that is sourced from most trusted & reliable vendors of market. 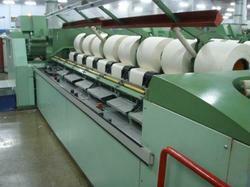 The products we offer are widely used by textile industries. Furthermore, we offer our products at market-leading prices in various specifications. Our range comprises Textile Bearings, Spindle Oiling Machines, PVC Cones & Tubes, Hand Cot Mounting & Die-Mounting and many more. Our reputation in the market is largely attributable to our precision-designed Fiber, Nylon , Nylocast Gears and Parts which are extensively used in various automotive applications for transmission. Our offered products are manufactured with utmost care using quality assured material and advanced technology by our skilled professionals. In order to provide defect free supply at clients' end, our quality controllers rigorously check these on various quality parameters. 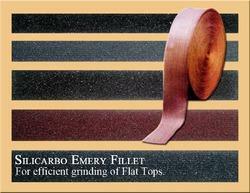 The Silicarbo Emery Fillet is provided by our company is of supreme quality. Our products are made by using optimum quality material and advance technology. 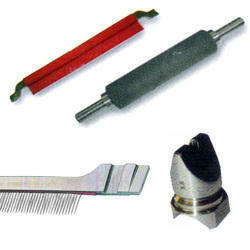 These are widely used in various sectors. Our products are attainable at a very competitive market prices. 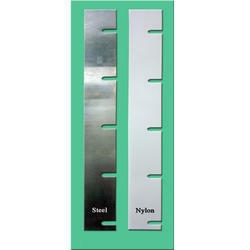 Best quality Metal Comb blades for all brands of Carding machine customized to your requirement. 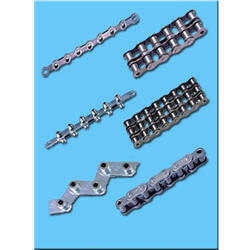 Conveyor Chain which is widely used in numerous industries for smooth transfer of material. Engineered from finest quality raw material, our range of conveyor chains is provided with stainless steel, zinc plated, carbon steel and nylon rollers. Highly acclaimed for durability, resistance to temperature fluctuation, high performance and corrosion resistance. 100% Hardened and ground high carbon, high chromium Top Roller Arbour and Boss (outer ring). This design maintains extremely low bearing friction and radial run out of the boss. Design of two rows improved robust bearings quality ensures maximum concentricity, stability and high load carrying capacity. Simple lubrication with reduced frequency of re lubrication. Trouble free and smooth running ensures increased productivity. Compact and uniform winding with steel pressers. Best quality Uster/Boyce type Hand Knotters for Weavers/Spinners. 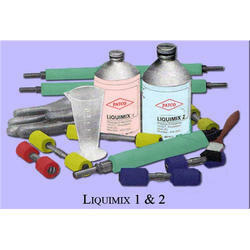 Liquimix solution for longer life of Ring frame and Draw frame Rubber COTS. Mixing ratio 13 (one measure of Solution 1 to three of Solution 2). Mixture must be used within 11/12 hours. Application clean and dry the top rollers thoroughly. Mek, ctc or petrol may be used for cleaning. Better results are achieved if application is performed after grinding. 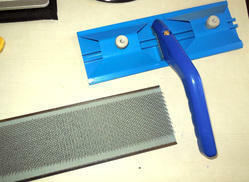 Clamp the top roller in a slow rotating lathe or a grinding machine and apply Solution with a brush carefully. 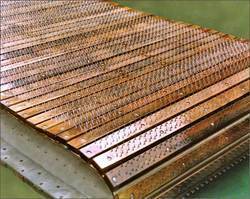 Do not allow droplets to be formed on the surface of top rollers. Wax deposits noticed on cots after a few hours working may be gently wiped off by a soft cloth dipped in carbon tetrachloride or petrol. Solution 1 must only be poured slowly into dry containers to avoid splash. Anti lapping Solution must be used in a well ventilated room. Always use gloves during application. Gloves are supplied by us. Solution 1 reacts aggressively to water, alcohol and ketonic products. Store Anti lapping Solution in a cool, dark place. 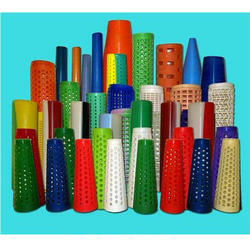 We have gained expertise in offering a wide array of PVC Cones and Tubes. Offered range is manufactured keeping in mind the diverse requirements of esteemed customers. Superior quality PVC that is sourced from well-known vendors of market is used in the manufacturing process. Besides, offer customization facility of the offered range. We have gained expertise in delivering a quality range of Card Gauges. 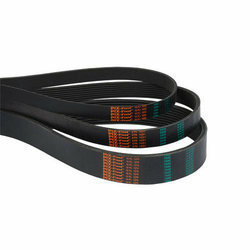 Our products are made from high quality material, which gives long life to these card gauges sets. Our products are known for their durability, high tensile strength and corrosion resistant features. The products offered by us are manufactured using superior grade material and progressive technology in adherence to the latest market norms. 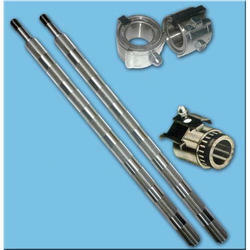 Our esteemed clients can avail an extensive range of Draw frame Replacement Spares. Available in various specifications, this range of products is in compliance with the global quality norms and parameters. 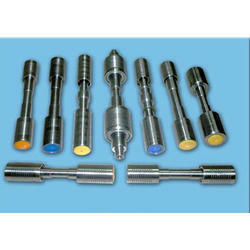 This range has wide applications in various industries and has generated an unprecedented demand in the market. 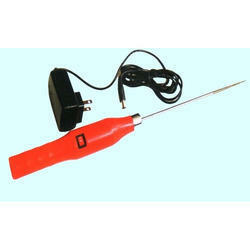 In addition to this, we also provide customization facility. 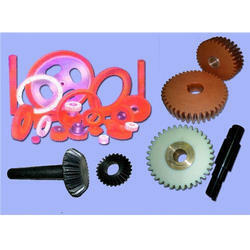 Blowroom spares like Gears, Grid Bars, PIV, etc. We have in store for our clients a wide range of Carding Under Casings. Superior quality fabric that is sourced from certified vendors of market is used in the manufacturing process. 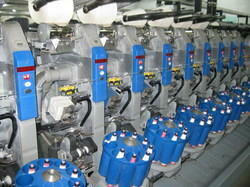 Latest machines and advanced technology is employed to manufacture these products following industry set guidelines. 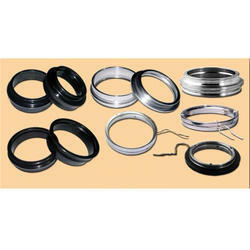 Moreover, we offer our range in various specifications at nominal rates. 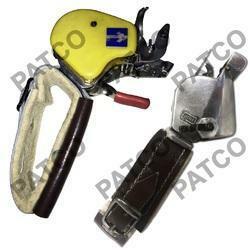 We manufacture best quality Hand Strippers its multiple industry products. 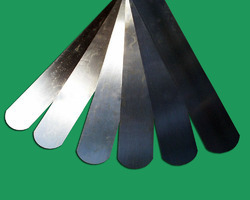 We are putting forth an extensive variety of Steel Scraper Blades for Textile Industry to our significant customers. These powerfully fabricated items are known for their perfect quality, and quality which make these fit for withstanding all requesting mechanical conditions. 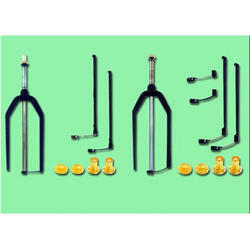 The offered item is made in congruity with all around set measures utilizing quality sanction crude material with the assistance of very development innovation. We are manufacturer and exporter of top quality of Bare Flats, Flat Screws and Flat Tops. 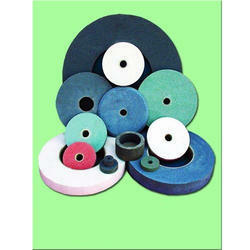 All types and sizes of Grinding stone with varying grits for various purposes. 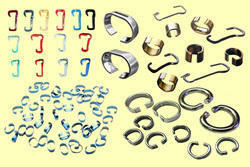 Ring Frame Replacement Spares for Rieter G5/1, G60, G33, K43, K44, K441, Zinser, Toyoda, etc. Patco Exports Pvt. Ltd. is an illustrious organization that is involved in manufacturing, supplying, importing and exporting a vast array of Spinning Rings. 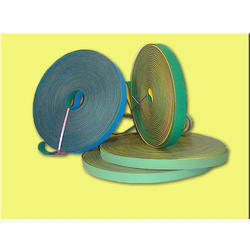 Manufactured using excellent quality material, these products are in adherence with international quality standards. 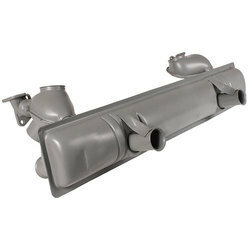 The material used in the production process is sourced from vendors of high repute. Moreover, our range is widely applicable in textile and industrial sectors. With the help of our experienced engineers, we are able to manufacture, supply, import and export a vast range of Bottom Rollers and Bearings. The range offered by us is manufactured employing latest machines and advanced technology following industry standards & norms. 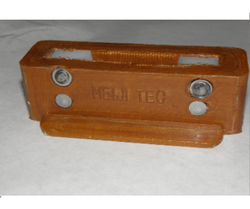 Also, high-grade alloy steel is used to manufacture the offered product-line. 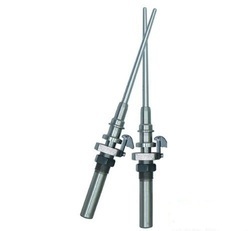 These products have opposite helix flutes for zero axial thrusts. 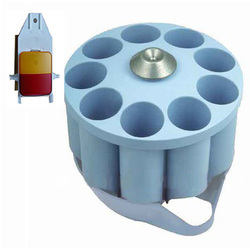 We manufacture specially designed fluff guns/manual/battery operated spare part in textile and spinning machines. These cleaning guns are battery operated, and can be charged when required. They have long operating life; low maintenance is required and very user friendly. The speed of the motor used in these guns is 3. 6 v and battery used in lithium battery. 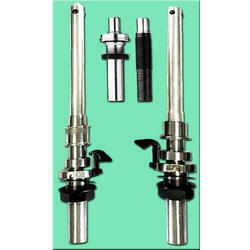 We manufacture and supply the best quality of Textile Spindle. Available with us in various technical specifications, the offered textile spindle is valued for its high performance and rugged construction. To ensure high standards of quality, the textile spindle is checked on various quality assurance procedures.